No two moments in life are the same; change is the only constant in life. And that change is the inspiration behind every innovation and invention that finds its way from the inventor’s lab to the common man’s house. Fuelled by technology the goal of every invention is to make lives easier and convenient; however, it is not the case always. Sometimes the invention in itself defeats the purpose for which it was made. As an Indian, the two things that drove me crazy were Cinema and Cricket and not necessarily in that order. Though Cricket is not our national game, it is by far the most loved and followed sport in India. There will hardly be any household in the country that doesn't keep abreast with the ongoing games. It is the game that unites people of India wherever they are, whenever it is played and whatever the situation. However, there is a battle drawn between the game and the management/players; especially Indian. The growing unrest born of the controversial DRS system that Indian authorities refuse to acknowledge as part of the game has left the viewer astonished. The flak and embarrassment that this has caused the Indian cricket fan are unmentionable. True to the name, the Hot-Spot technology uses the Heat of Ball Impact via infrared cameras to judge crucial decision of nicks and lbws. Unfortunately, the huge cost of equipment doesn’t allow its use as much as it would benefit the game. I guess it is the longest used technology in the cricketing arena. It’s more applicable for giving a closer view to the viewers than to benefit the game. However, since the last few games, I’ve seen a LED stump used that lightens when the stumps are hit by the ball or the bails are dislodged during stumping or a run-out. The technology used to updates umpires and players about various glitches in the game. From whether the hit is a four or a six to whether the catch was cleanly taken or not to whether the ball was a no-ball or not and many such instances. Just like in various other sports, a player can refer a decision made by an on-field umpire for review. The third empire than uses various technological avenues at his disposal to arrive at a decision to either go with the on-field decision or reverse it. It helps minimise decision errors that could actually change the outcome of the game. Have you ever thought about the match outcomes if there was a chance to review these horrendous umpiring decision? And that's just warming up to the ugliest on-flied decision, there are loads more. So if you read through, you may feel that there are only pros to using technology and no cons. But like every coin has two sides, technology to does. Technology is great, up until it is used wisely and unanimously. Some people argue that technological interference also takes away from the human element of the game. Monetary repercussions too weigh heavily on the participating nations and the flight of fancy that some nations are able to pull their weight on using the systems. For me, I’m a big fan of technology, especially when it helps to eliminate doubt and draw a consensus and so for me, it definitely has a place in the game. Many may not agree with me, but that’s the beauty of the human mind. No two minds think alike, and each mind is open for change. 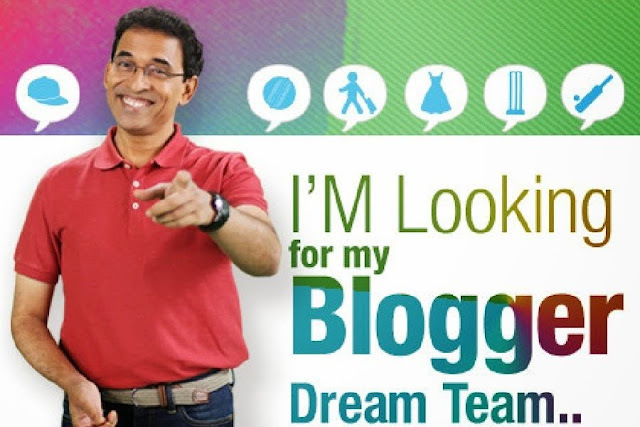 The views and the descriptions here within stems from my limited knowledge of the game and the technology used, however, they are expressed in immense desire to be part of Harsha Bhogle’s #BloggerDreamTeam.